I captured the Hibiscus photograph at Governors Island on July 22. Where four of us rented a Surrey and pedaled around the flat parts of the island. It was delightfully cool and breezy. I had no time for photography. 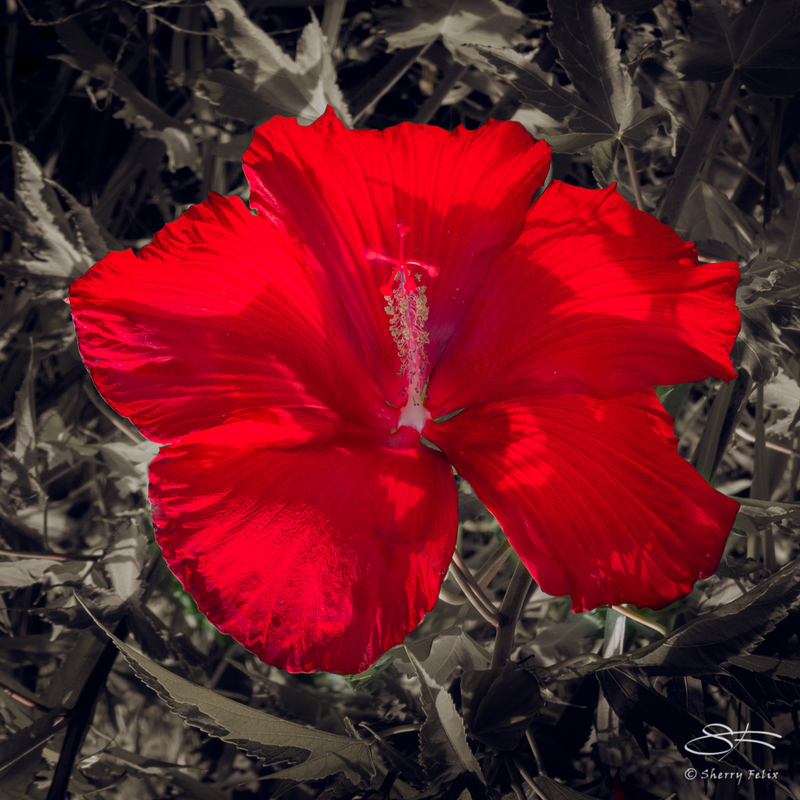 Three versions of a Hibiscus created in Photoshop CC 2018. Warning, a little startling! There are many lovely varieties. I hope your do well. Wow Sherry!!! You’re really becoming adept with the software. Gorgeous subject to begin with too. Thanks. I looked up how to make animated GIFs and videos in Photoshop. Then made two extra images with circular blurs and followed the instructions. I had the end picture in my head before I started. Hey, that’s really fun! Thanks. I’ve been playing with animations for fun and practice.